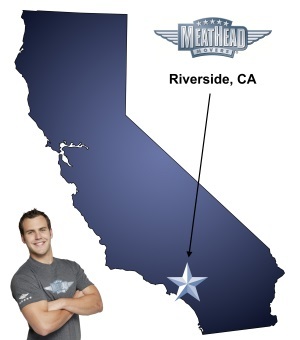 Whatever your moving needs may be, Meathead Movers will help you feel at home in Riverside. Our professionally trained student-athlete movers and our moving concierge will be with you for the entirety of your move to Riverside. Major movie buffs will tell you that the very first public showing of the classic 1939 flick Gone With the Wind happened at downtown Riverside’s Fox theater, which has now been transformed into a state-of-the-art performing arts theater. While that may not be reason enough to pack up and move to the most populous city in California’s Inland Empire, there are certainly plenty of other reasons people are moving to Riverside. Southern California has long been a place where people yearn to live. The weather here is beyond compare and there’s always something to do. San Diego (around 100 miles to the south) has its world-famous Zoo and Los Angeles (60 miles west) is home to the star-studded movie industry, but those fine SoCal cities can come with a steep price tag. Most people who hire Riverside movers find that life in the Inland Empire is more affordable than in coastal cities. Even when money’s not an issue, folks enjoy a wide range of activities in Riverside, which just happens to be “The City of Arts and Innovation”. If you’re considering relocating to this lovely part of the Inland Empire, contact Meathead Movers without delay. We are energetic and trustworthy Riverside movers. Our services range from local moving, long distance moving, packing and even on-site moving to rearranging your home/office or loading rental trucks. Meatheads are unique among Riverside movers. Our guys are straight-edge college athletes who jog to and from the truck when their hands are empty. Of course, jogging between loads is not the only thing that sets Meathead Movers above the competition. Our movers don’t smoke or do drugs, on the job or off. We believe in hiring honest hardworking crews. Not all Riverside moving companies are as diligent as we are when it comes to interviewing, hiring, and training moving crews. On our website, you will find a number of moving tips that can help you get ready for a finely-tuned, no-stress moving day. While you’re planning your move to or around Riverside, be sure to take some time to speak with our friendly and efficient concierge about Meathead Movers relocation services. We can tell you about schools, where to dine and how to have your utilities turned on. We know moving is stressful, so we work our hardest to make your transition as smooth and easy as possible. Give us a call at (866) 843-6328 and we’ll give you a free no-obligation moving quote. With our 100% satisfaction guarantee, the only thing you have to lose is the stress that comes from moving! Moving to Riverside? Here are some helpful resources. Great movers, they were very helpful and respectful. They also were very efficient in moving all of our stuff in a timely manner. Because of them I would recommend Meathead Movers to anyone who is looking to move! Your customer service agent and moving crew are amazing. Everyone was extremely helpful and it was very clear that you put customers first. We were so stressed with the move but you made it so easy. We are so grateful for your service and expertise. This is the second time we used your services and we will come back every time! I've been like a parrot around my friends about you; I always tell them "I will never move myself again after using Meathead movers, they are worth every penny!" Great guys who moved my dad. They did a good job. They do a great job making sure your things are well wrapped & don't bang into your walls and doorways. Extremely polite and hard-working. I've used them at several times.